The Hip & Urban Girl's Guide: Get Your Tickets Now! 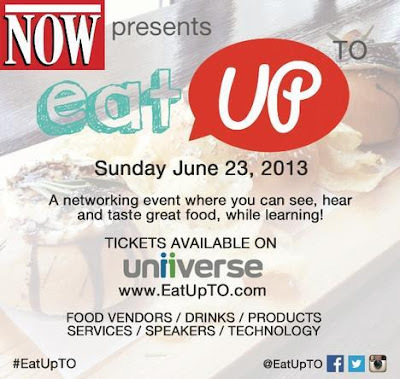 NOW Magazine presents Eat Up TO, an innovative food marketing and networking event – farmers’ market meets tech conference – uniting food and drink vendors, product makers, service providers, speakers and technology. Wendy (@wendykammarcy) will be speaking on the Food Media Panel at 4pm. Tickets are $20: available at the door and online at Uniiverse. Includes gift bag.